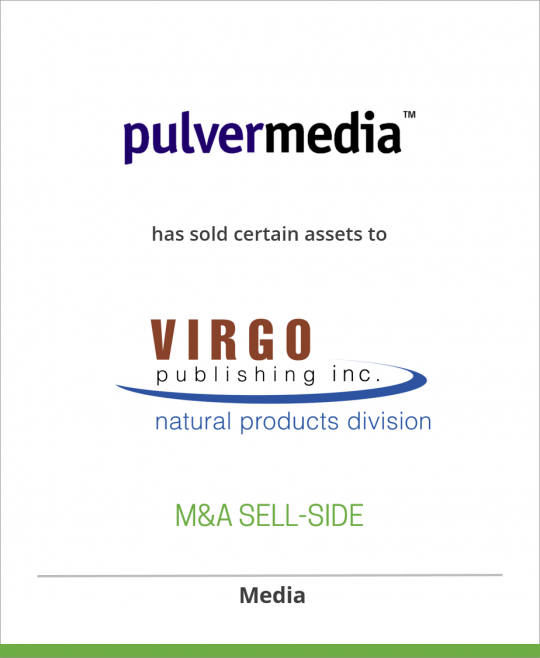 Pulvermedia, a media company which produced the VON conference, has sold certain assets to Virgo Publishing, a B2B information services company. Pulvermedia, founded by Jeff Pulver, produced the VON conferences and published a variety of other media dedicated to new communications technologies. Virgo Publishing produces business-to-business magazines and conferences across four verticals. Virgo Publishing’s Telecom Division includes four titles: xchange, PHONE+, Billing & OSS World and New Telephony. It also includes two trade shows: Channel Partners Conference & Expo and Billing & OSS World Conference & Expo. Virgo Publishing acquired Billing World and OSS Today Magazine and the Billing & OSS World conference and exhibition from TeleStrategies Inc. in September 2007. Sold to Virgo Publishing inc.